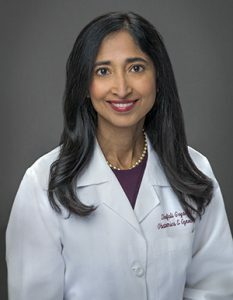 A native of Kolkata, India, Dr. Goyal completed her medical studies and residency in India, where she was among the top students in her class. After moving to the US, she completed an internship in internal medicine and then a second residency in OB/GYN at the Rochester General Hospital, before joining Delaware Valley OB/GYN. Dr. Goyal has an active interest in laparoscopic surgery and is fluent in both Hindi and Bengali. She is recognized for the extra time she spends with her patients.